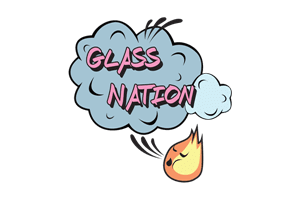 Glass Nation has the best selection of non-spill bubbler pipes called Subbler pipes. Spubblers are unique to other hand pipes and bubblers because of their unique and innovative design. Spubbler pipes are perfect for those who want the water filtration and portability of a bubbler, but want increase utility and don’t want the water spilling everywhere while on the go. You can shake spubblers all day long and it is much harder to get the water out than with a traditional bong or bubbler. They are the perfect alternative to a lot of larger water pipes and bubblers. You won’t be disappointed by the utility or functionality of these epic pipes. Furthermore, slide on in and check out our robust selection of these cute water hand pipes.